Wake up a tired wall in your home! 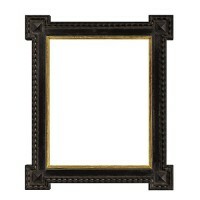 Let us show you how with one of our unique frames. 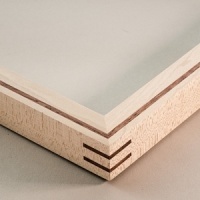 framing is important to you, and the project you bring to us is something you want to enjoy for a long time to come. 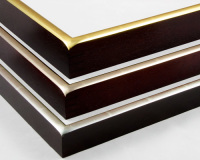 Matboard can enhance your art by adding colorful, interesting and elegant design. 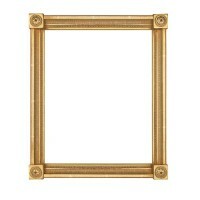 Did you know that matboard also serves a purpose by protecting your art? By creating a barrier between your art and glass, matboard prevents the glass from directly touching the art which could be harmful over time. 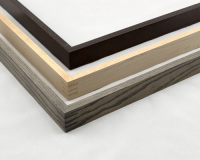 Matboard creates a barrier between your art and the frame too. 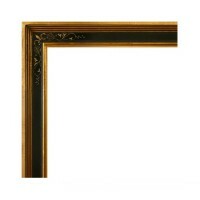 By keeping art away from the edges of a wooden frame it prevents acid burn which can result over time. For centuries, cotton rag paper, prized for strength, purity and stability, has been the choice of artists, composers, writers and printers. Cotton rag matboard was designed specifically for the Metropolitan Museum of Art in New York in the late 1920s. Today, virtually all museums and libraries rely on cotton rag matboard, often referred to as museum board. Cotton is nature's purest form of cellulose. 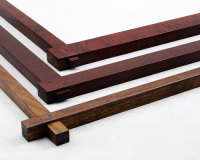 It is inherently free of lignin, acid and other non-cellulose contaminants found in wood pulp. Cotton fiber pulp is reliable, sturdy and far superior to bleached, chemically processed wood pulp used to produce other conservation boards. Handwrapped fabric mats add warmth, beauty and a special appeal that you are certain to appreciate and enjoy. We offer a vast selection of fine fabrics including linens, silks, suedes, cottons and synthetics especially chosen for the industry. Or bring us your own fabric! 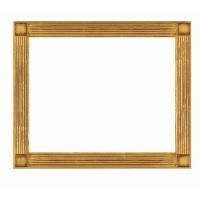 French matting is an ancient technique using watercolor wash panels and ink lines around the perimeter of a matted piece of art. 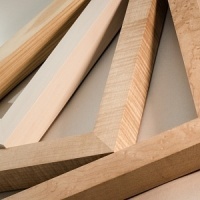 As picture framing materials and techniques developed in the 19th century, the window mat, made of many layers of paper was created to separate the art from coming into contact with the glazing above it in the frame. 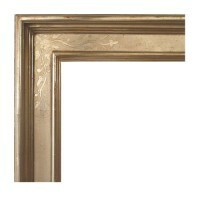 The tradition of applying decorative lines and panels continued and came to be known as french matting. 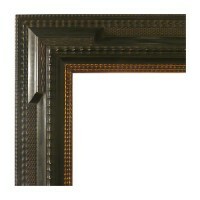 Today, the decorative art of french matting survives because of our love of the past, our ancenstry . . . and our love of fine design. 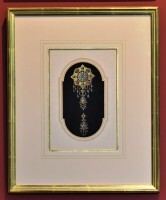 Although french matting is comfortably paired with period-style framing, updated designs work beautifully in a contemporary setting. The creative possibilities are endless! Just like UV glass protects art and photos from damaging sunlight, Artcare protects them from harmful air pollution. Over time pollution seeps into frames and causes art and photos to fade, yellow or even deteriorate. We’ve all seen this happen, especially as pieces get older. Most people don’t realize that air pollution inside a home can be worse than outdoors, where air can flow. Only Artcare products contain patented MicroChambers, that proactively trap and neutralize these harmful gases. Artcare stops air pollution in its tracks – and keeps it away from your photograph or artwork. The result is a framed piece that stays forever young. 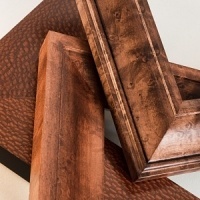 Most people are pretty familiar with moldings and mat boards when it comes to custom framing, however, many may be unaware of the importance of glazing when it comes to the protection and the beauty of their framed piece. Maybe you are even asking yourself right now, what is glazing? 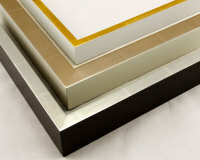 Glazing is the protective covering used in picture framing; it refers to either glass or acrylic. The glazing you choose is very important. 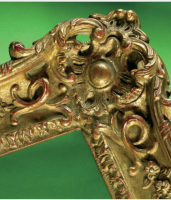 Only Conservation Grade glazing will help protect your cherished artwork, family photos, or any object you wish to have framed. 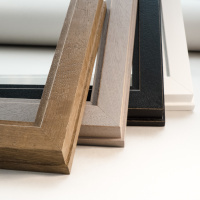 We know that you choose to custom frame because the piece you are framing is important to you, and the project you bring to us is something you want to enjoy for a long time to come. As trusted custom framing experts, we offer you numerous framing options to meet your individual needs and provide you with a finished piece that has both superior protection and a look to fit your individual style. We pride ourselves on our expertise in preservation, design, and fulfilling your needs to get the job done right. This is why we offer the best glazing available, Tru Vue® Conservation Grade glazing. Tru Vue Conservation Grade glazing is the only glazing that has 99% UV protection, the best available protection, and meets conservation standards written by the International Organization for Standardization (ISO). 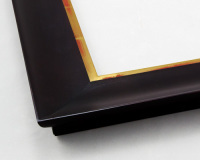 Whether you are framing artwork, a diploma, a photograph or postcards from a great family vacation, using glass to protect your framed piece is the typical choice. The glass acts as a barrier to protect the framed items from the effects of ultraviolet light, heat, humidity, dirt and grime. We have three Conservation Grade glass products to choose from that provide you with the highest UV protection possible, 99% UV protection, which will help protect your memories from fading. 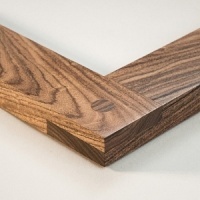 Using acrylic to glaze large framing projects is a fantastic choice, because acrylic is lightweight; the piece will not become too heavy to hang securely on a wall. 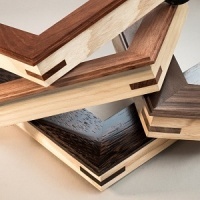 Acrylic is also a great option when the project is for high traffic areas or a child’s room as it's shatter-resistant making it a safe framing solution. We have four Conservation Grade acrylic products to choose from that have 99% UV protection; the best protection available.